If you are reading this blog, you may have cleared interview cutoff of SSC CGL exam. Now, you have to appear for CPT test in order to get the Assistant post in Cabinet Secretariat Service (CSS). You must have found this type of articles over the Internet, but this article is different as i am going to discuss each and every point to make a slide similar to the slide asked in the CPT test 2012, 2013 and 2014. In this regard, i am sure that this is similar slide i am blogging based on the experience of my friends who have attempted this test. 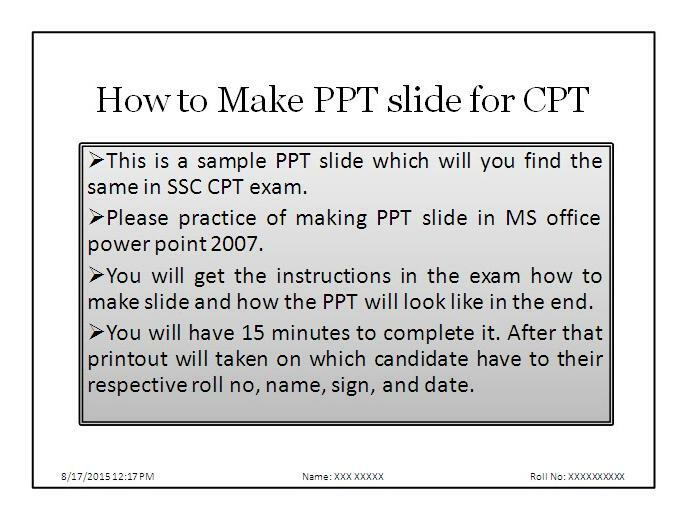 - I have also shared a video on this CPT power-point slide. Click here to view. 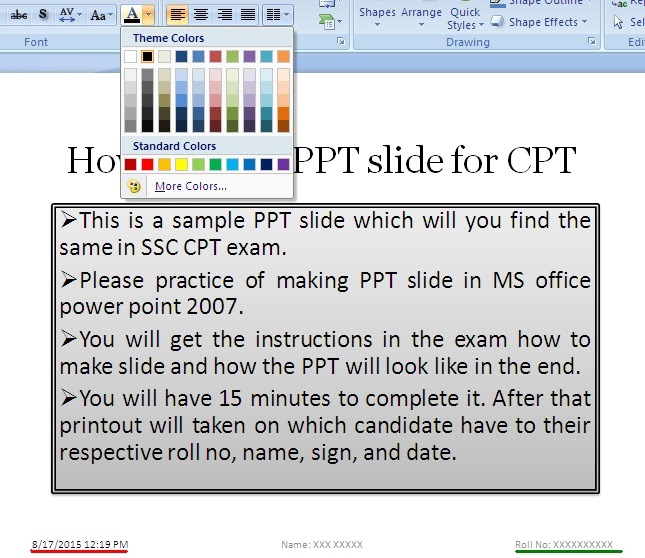 - I have taken the screenshots to help you out in making and practicing for a CPT test. 1. 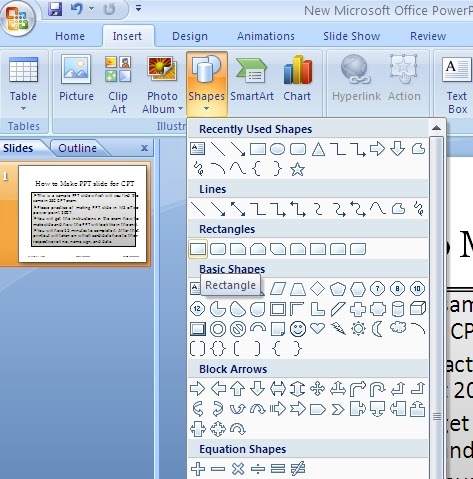 Open MS office 2007 and Select 'New Slide' from Home Tab. This can be any slide as mentioned in your exam paper. 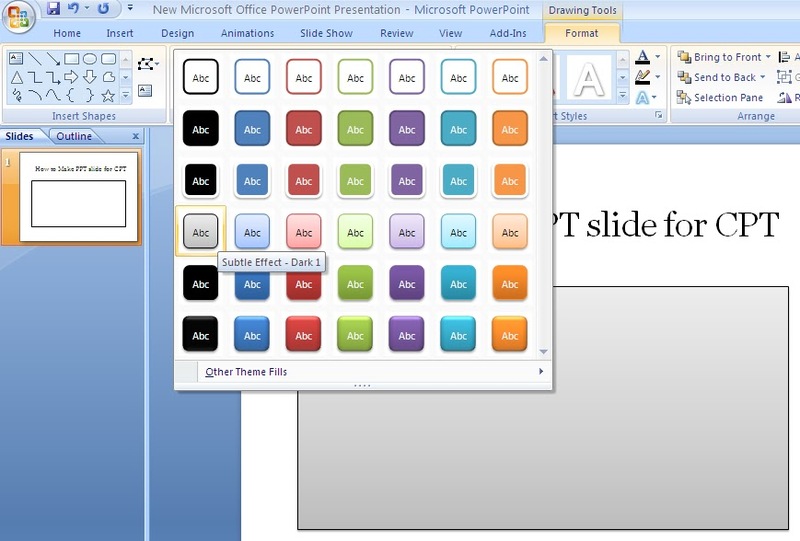 But, Generally 'Title Slide' is selected.to make a slide. 2. Now, write Title in 'Title' column and Content in 'Sub-title' column. Then, select 'Sub-title' column and go to 'Format' tab to select the Gery color design as a background. 3. To border the 'Sub-title' column, click on 'Shape Outlines' option in 'Format' tab as shown in the above figure. 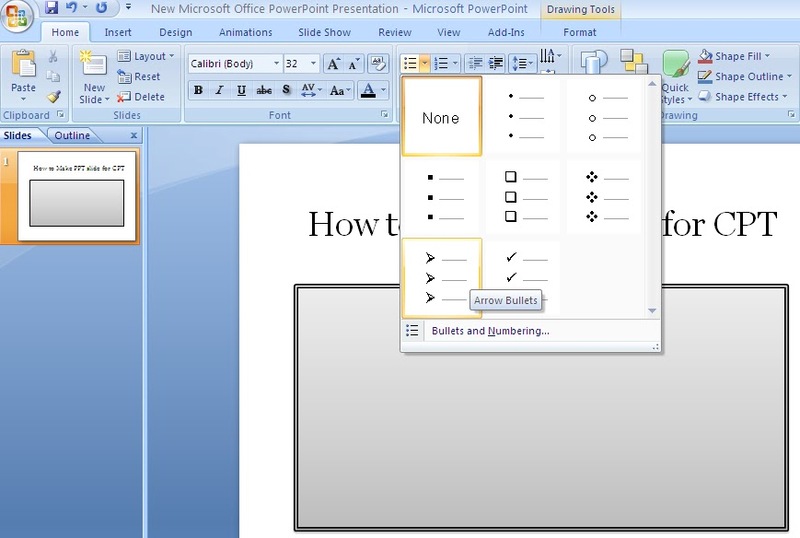 In this click on 'More' option to border double lines.as shown in the sample slide image. 4. To add Bullets in the 'Sub-title' column, click on the bullet option in Home tab after selecting the Sub-title column. 5. To Black your content, select both the columns and then, go to text color option in Home tab and select Black color. 6. 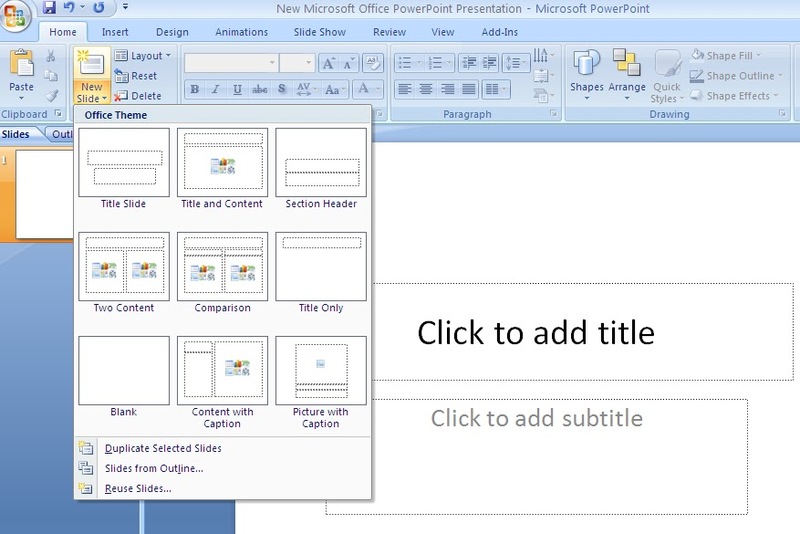 Now, you have to add Header and Footer in the slide. 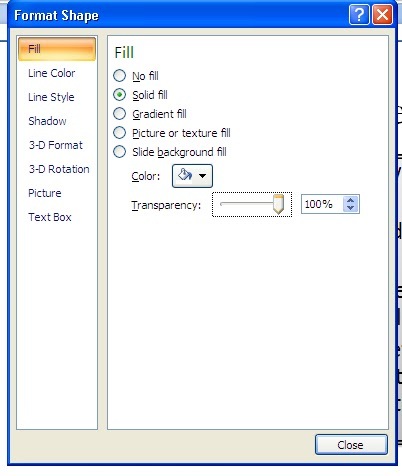 As shown in the above figure, Select Insert tab and then, Header & Footer tab. 7. In the above image, a window will pop-up on the screen to add Date & Time, Slide No, and Footer content So, select all three options to add 3 footer in line. 8. In the above image, i have marked the footers you can see. 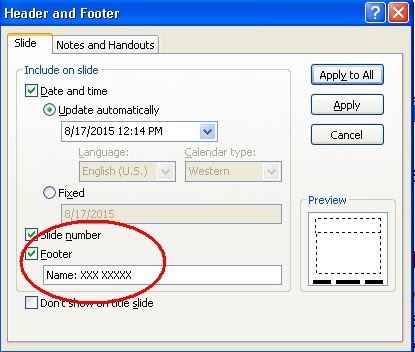 Now, you can edit footer too by selecting them. So, add Roll No in place of Slide No footer. - I have also colored the text to Black color in the second image. 9. The last step is to add Border around your slide as shown in the sample slide. It also can deduct the marks, if not followed properly. For this, Go to Insert tab and then, Shapes option in which you will find Rectangle. Select it and make all around the slide as the Border. 10. Now, your slide will look like the above image. 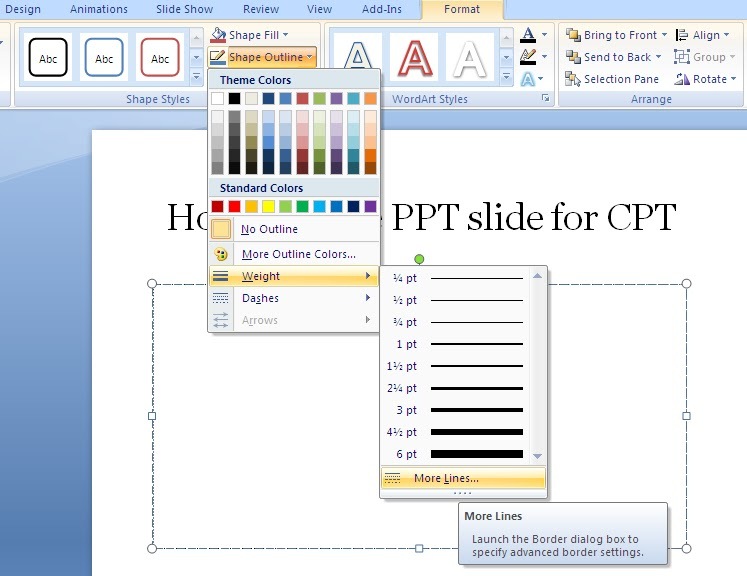 Now, you have to add transparency so that only border lines will appear on your slide. 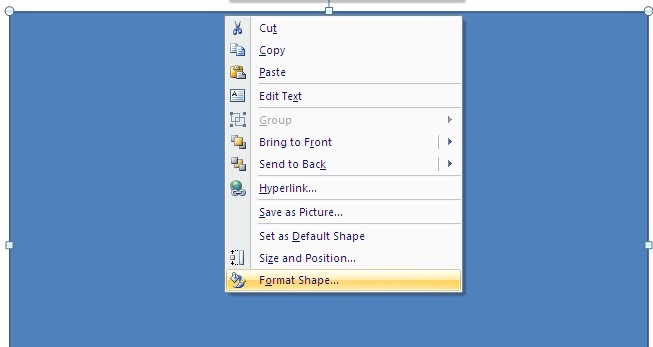 Right Click on the selected rectangle, then select Format Shape as shown in the above image. 11. Above Image has shown the Format Shape window. Here, you can clearly see the Transparency option and make it 100% so that rectangle becomes transparent. 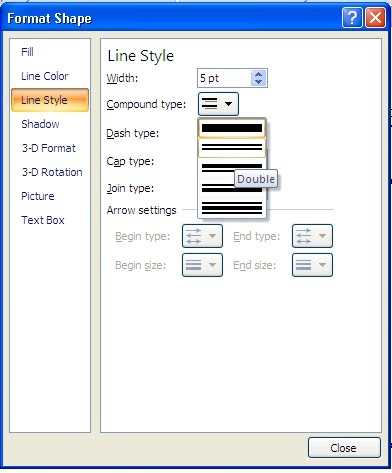 - Secondly, You can select Line Style option to add border width and color. 12. 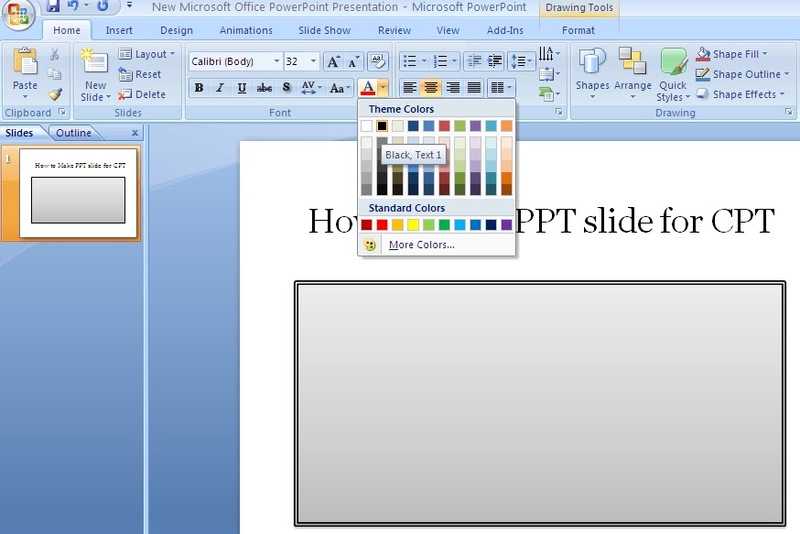 Now, your slide will appear like the above shown images.This is the same asked in the CPT PPT test. Note: After completion, see the Print preview in order to avoid any printing error and Font-size; Font-family should as followed as written in the exam instruction paper. Detailed information about SSC CPT/DEST test..
Doubts regarding SSC CPT/DEST exam. Video to prepare for SSC CPT Excel exam. 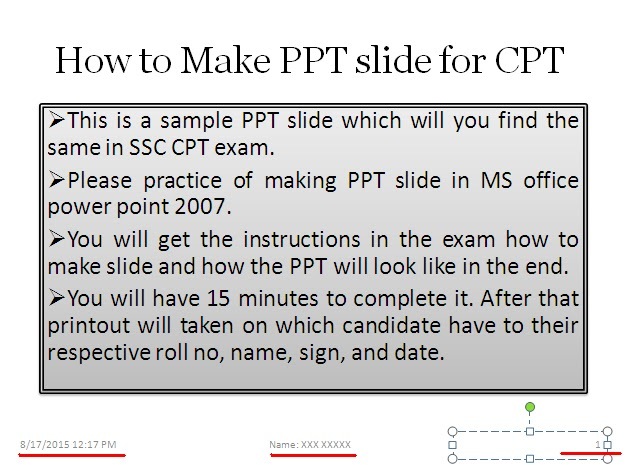 Comments "Steps to create SSC CPT Power-point slide"